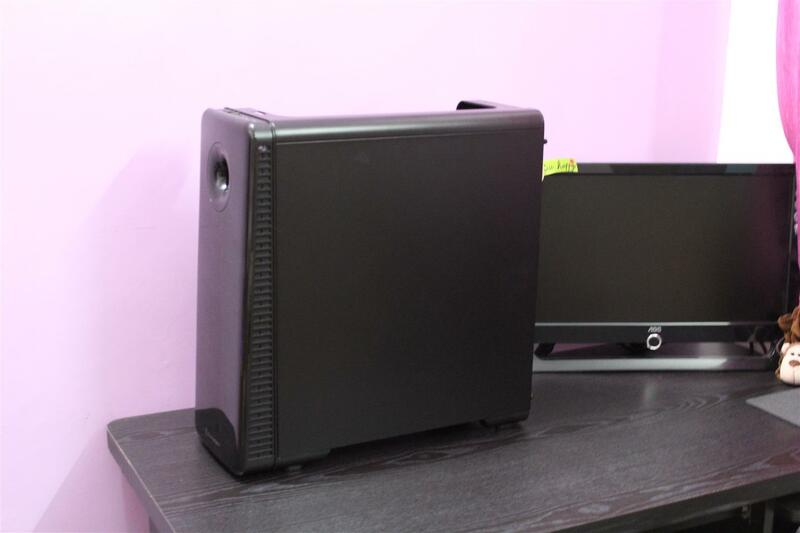 19 Aug, 2017 Rakesh Sharma Reviews . 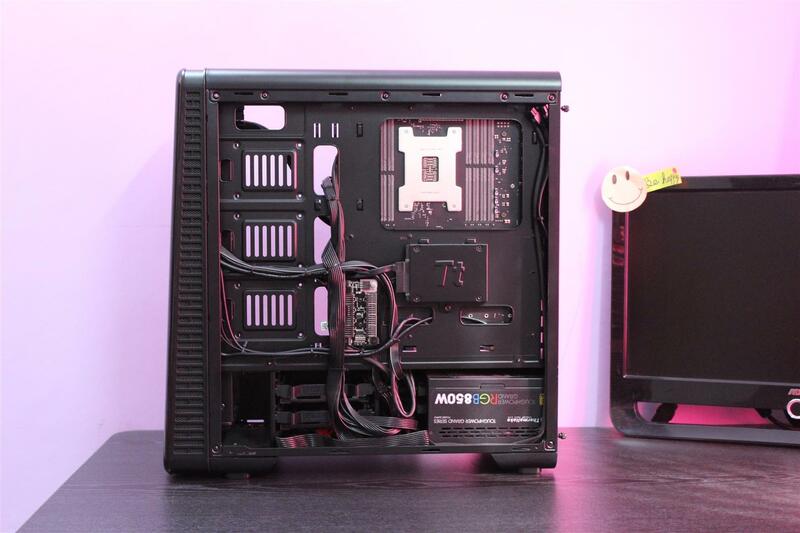 Being a PC modder I am asked a lot to review PC cases and mod on it, but out of all I select few if I feel they have something different in looks, design or value for money section. 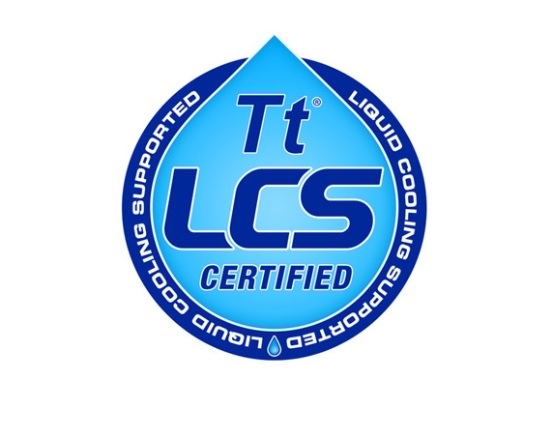 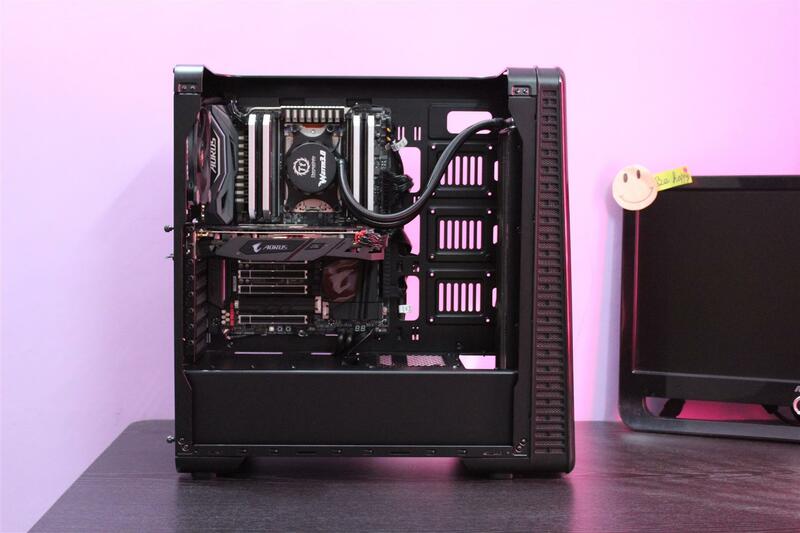 And reason of selecting today’s review case from Thermaltake i.e. 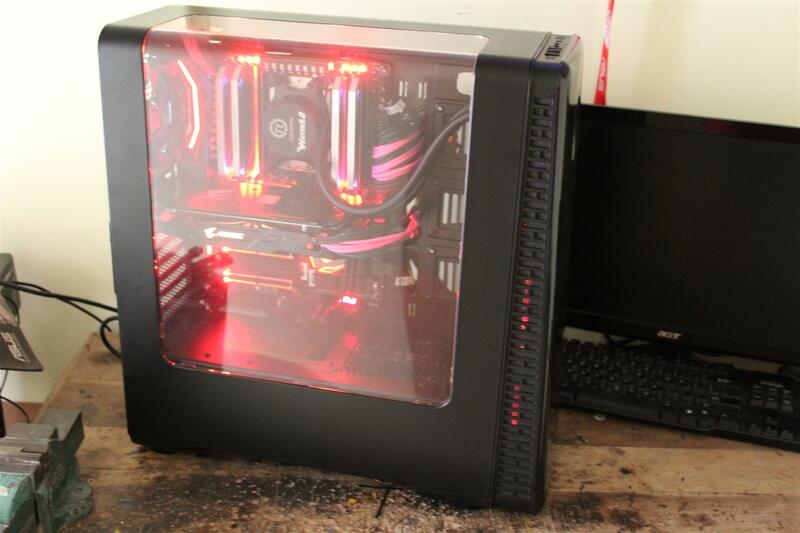 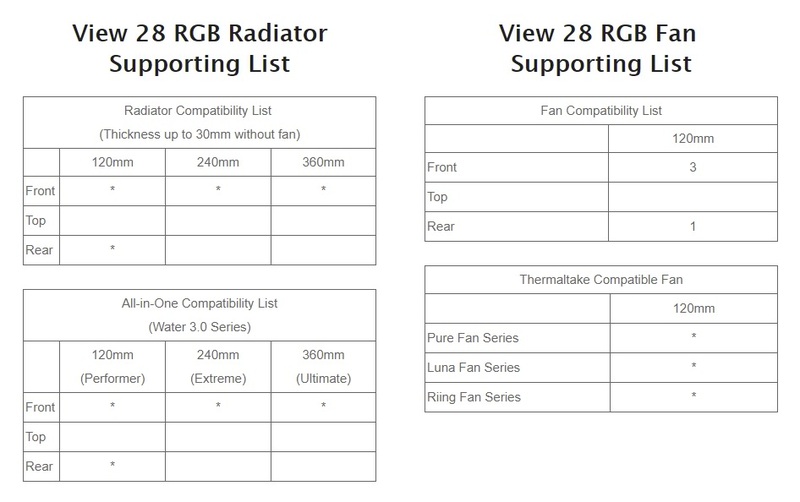 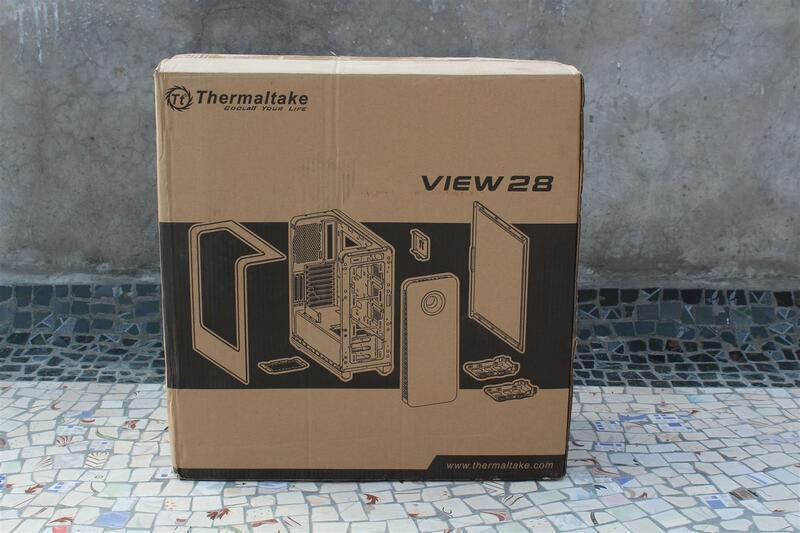 the Thermaltake View 28 Case was that, now a day’s every manufacturer is designing their cases in a way to allow users to show their PC hardware. 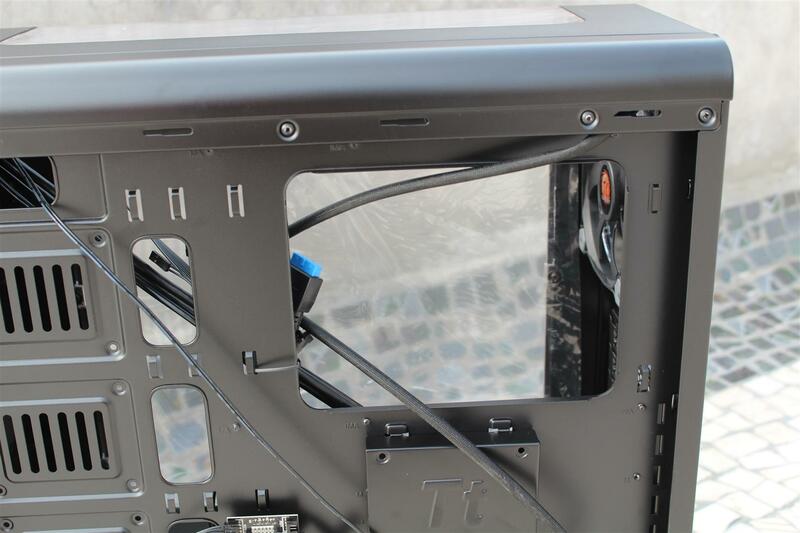 So some have side window and some have glass all over them. 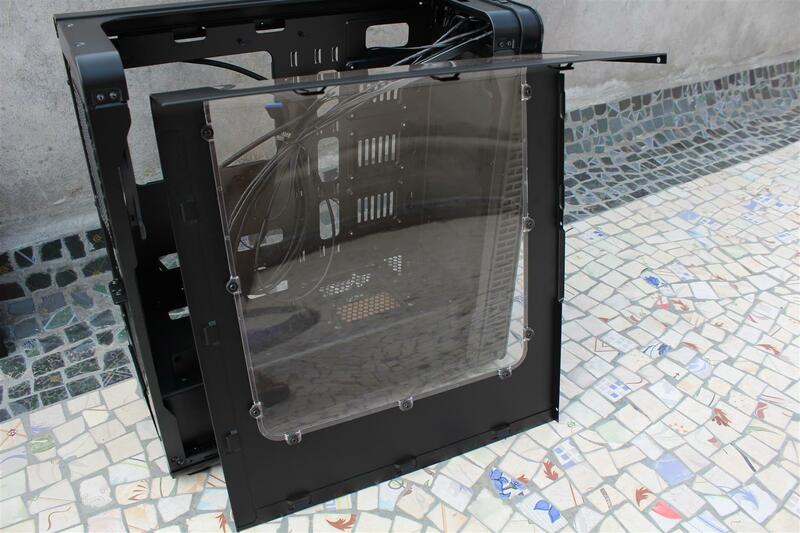 But Thermaltake with its View 28 case took a unique approach by using a Gull-Wing window design for component showcase, where a single transparent panel is curved, going from left side panel to top panel giving a nice side and top view of the components installed. 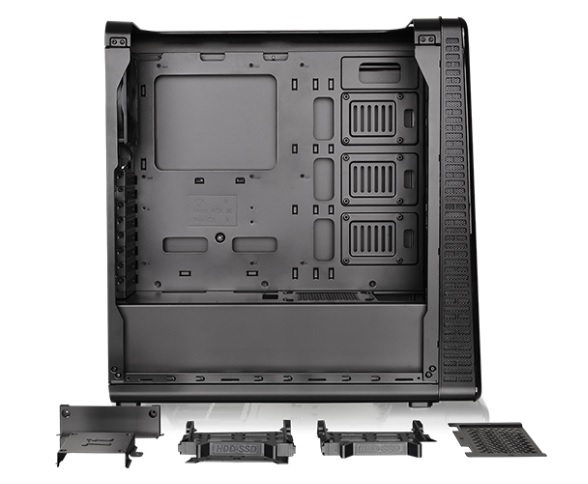 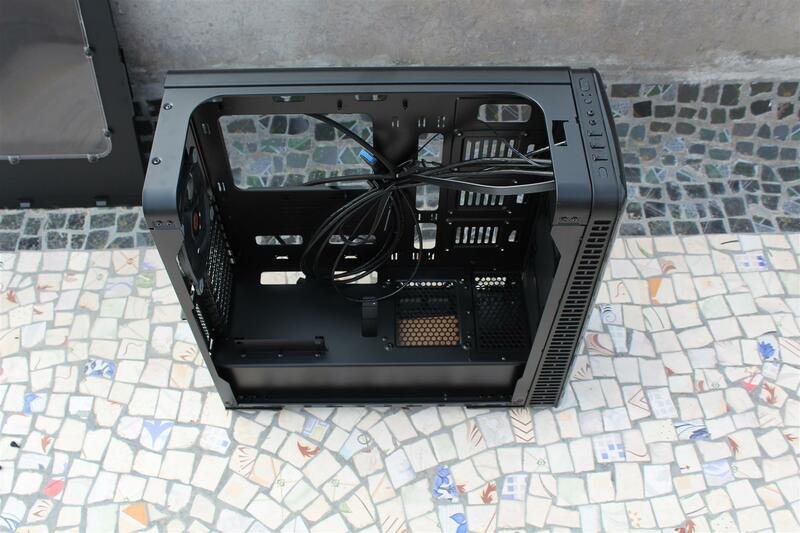 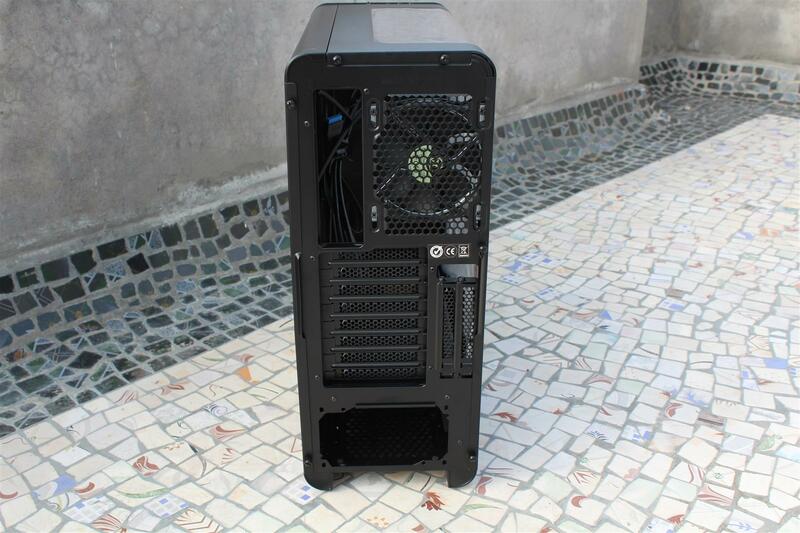 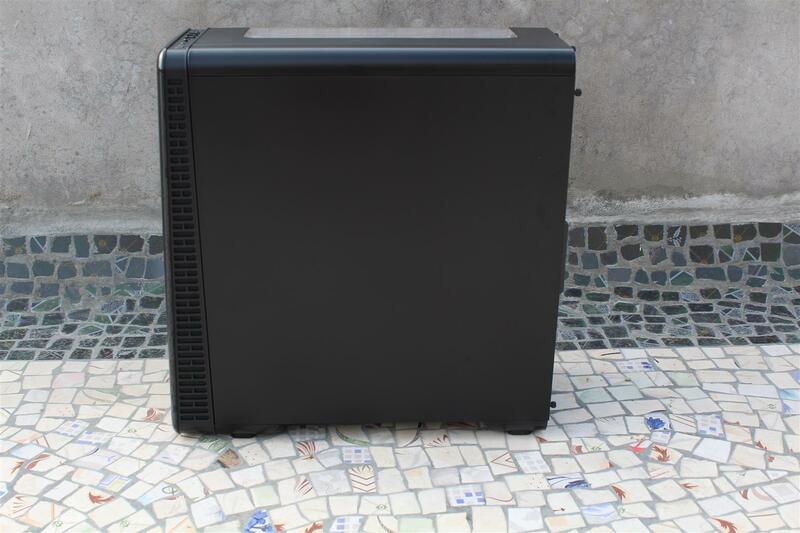 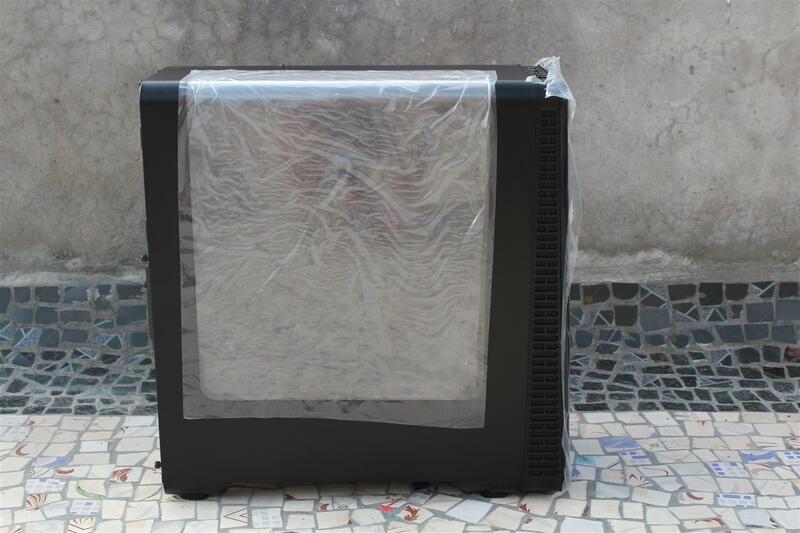 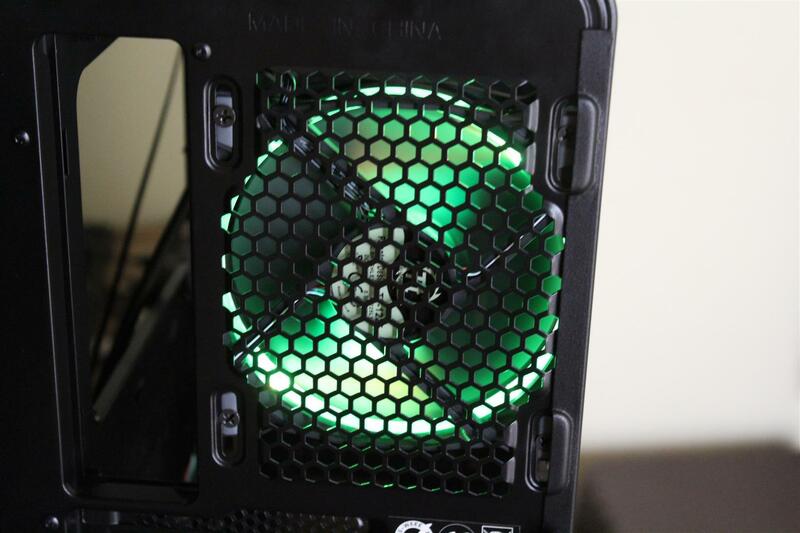 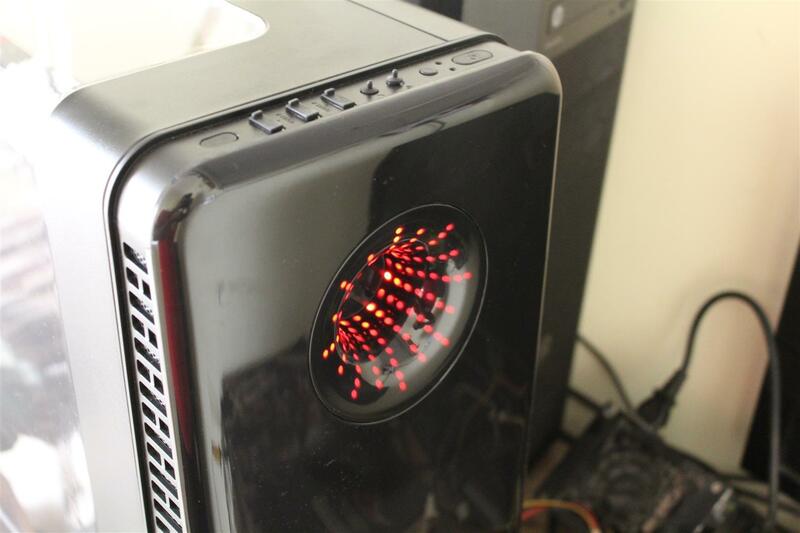 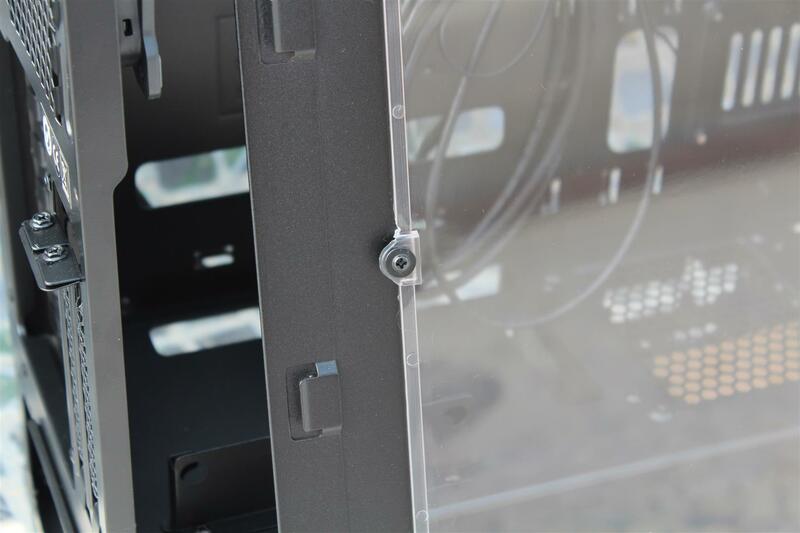 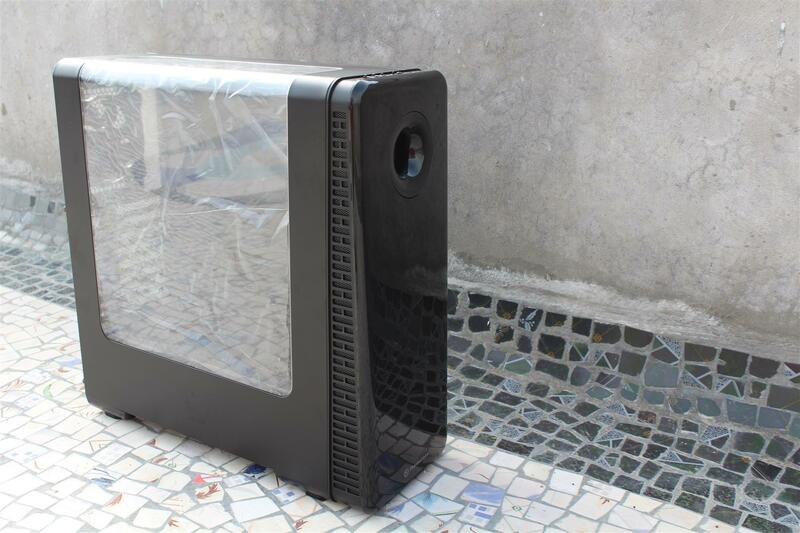 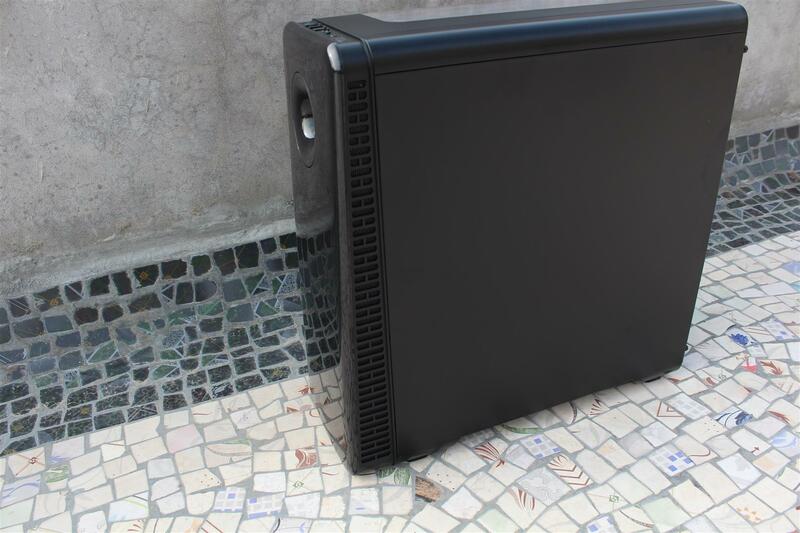 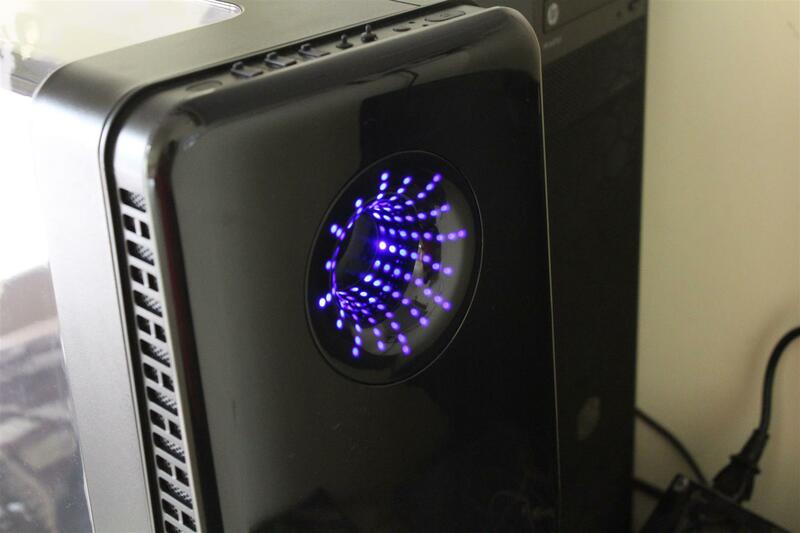 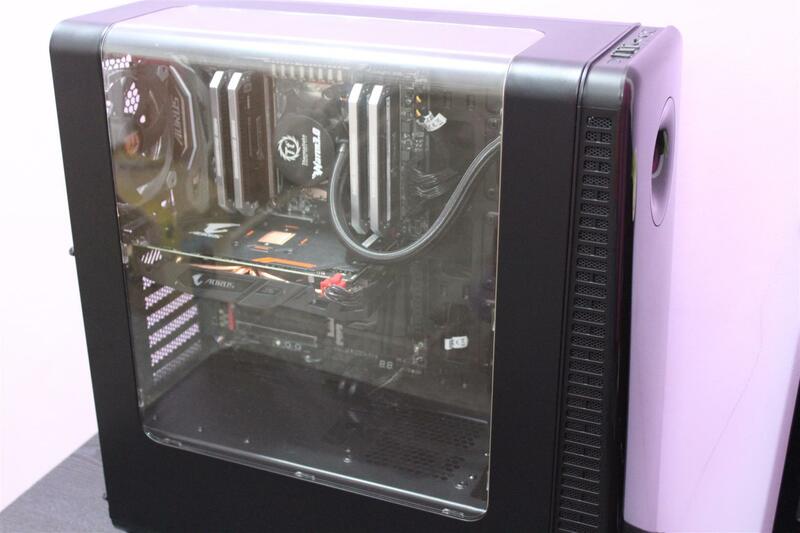 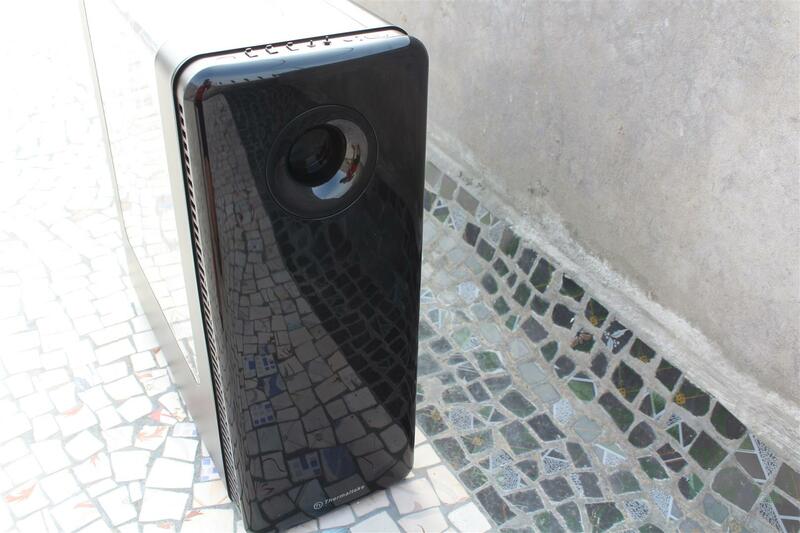 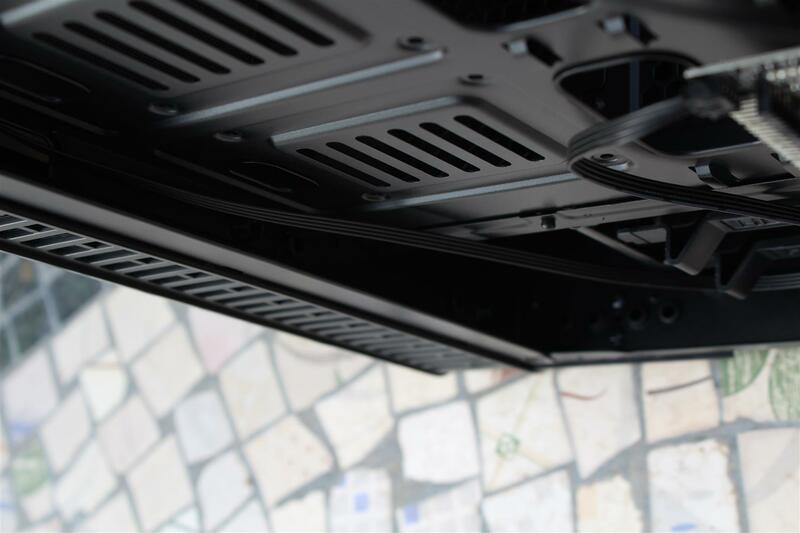 Along with a full 360mm radiator support this case also offers vertical graphics card mounting options. 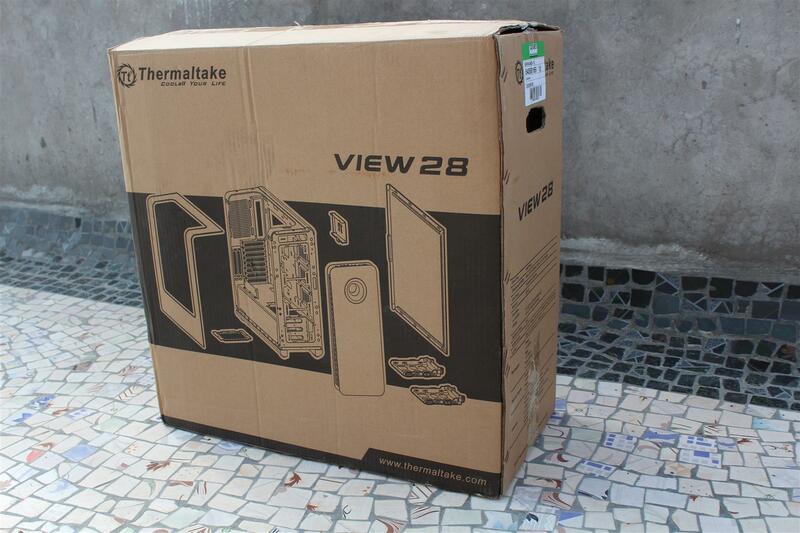 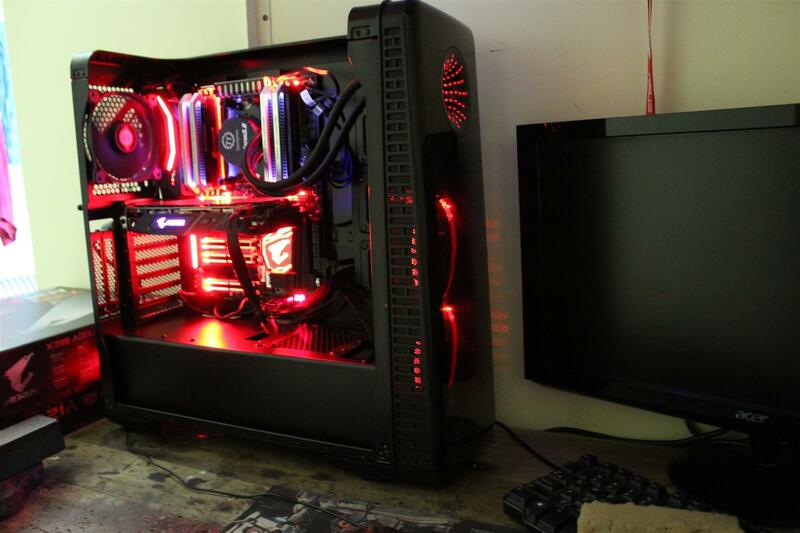 Now let’s have a look on what more the Thermaltake View 28 case have for us. 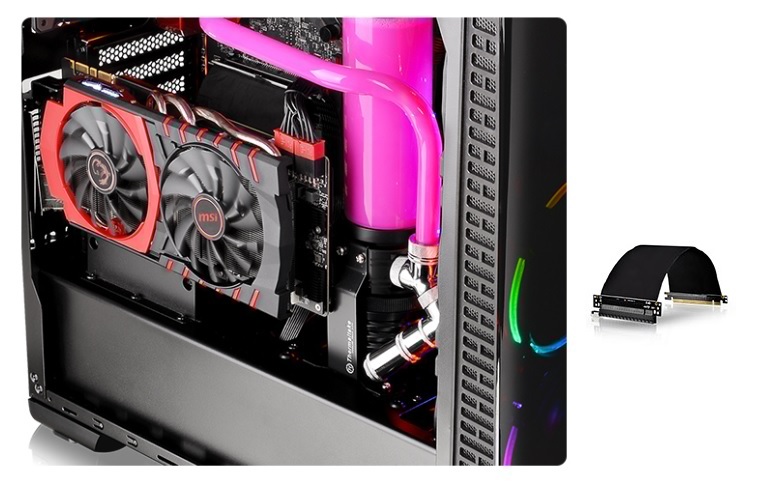 Specially designed with dual GPU placement, the View 28 RGB has the support for vertical graphic card layout with dual PCI-E slots design and optional PCI-e riser cable. 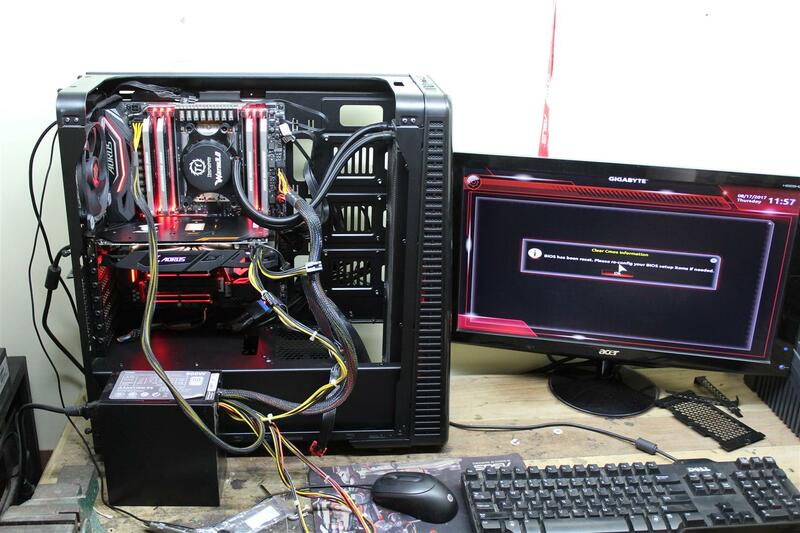 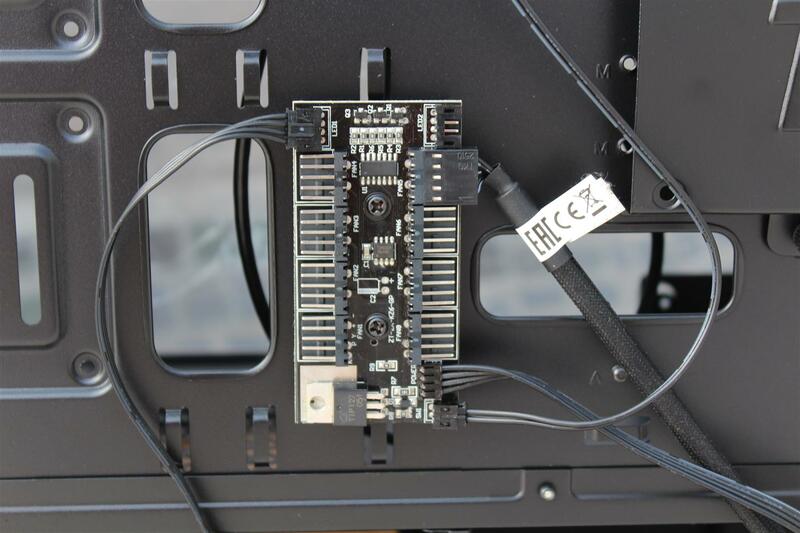 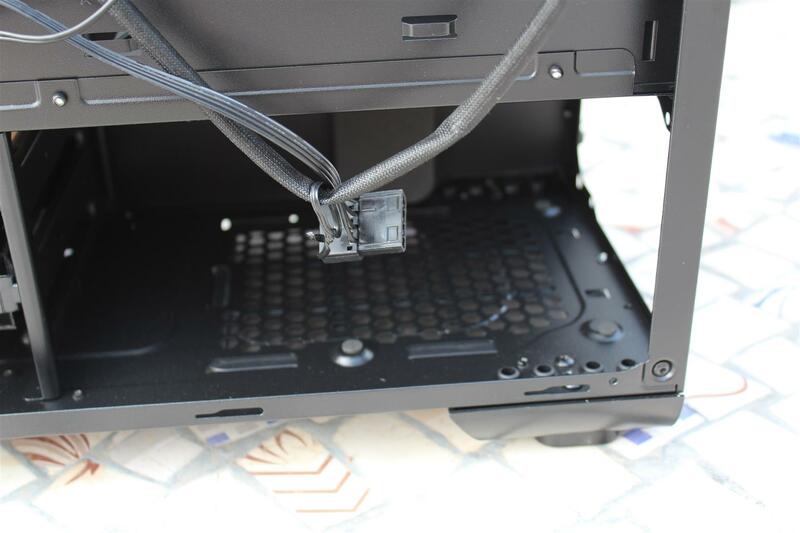 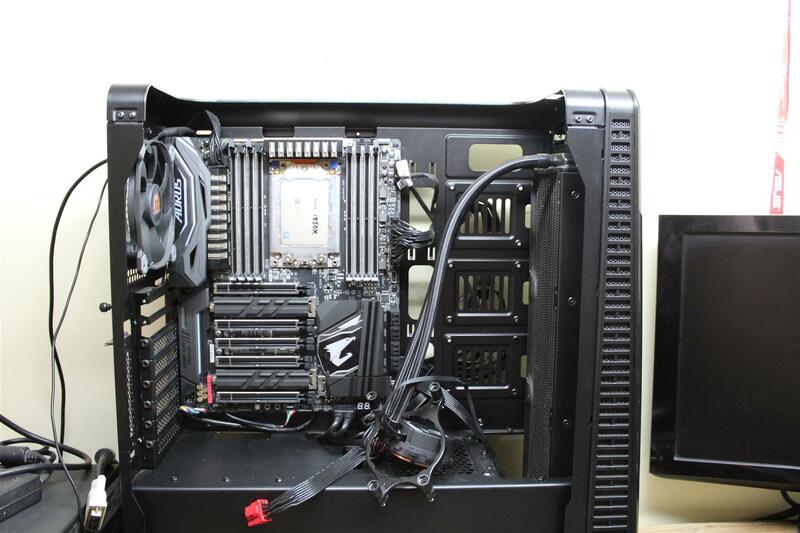 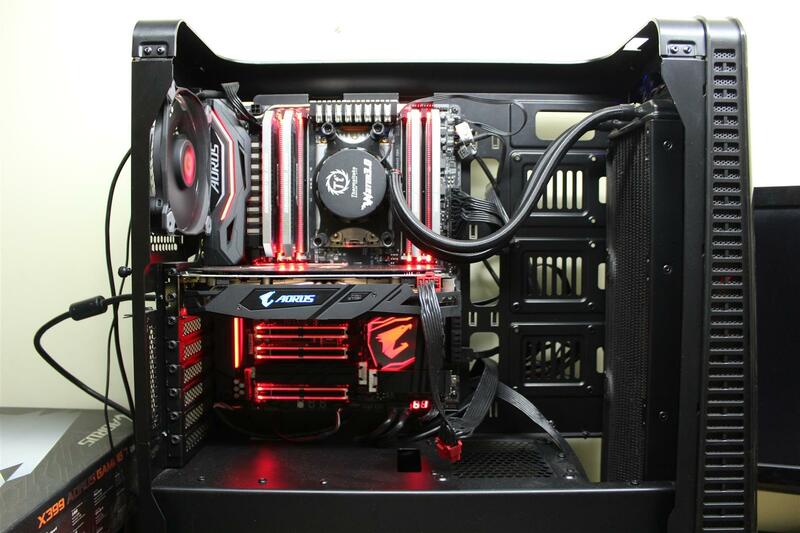 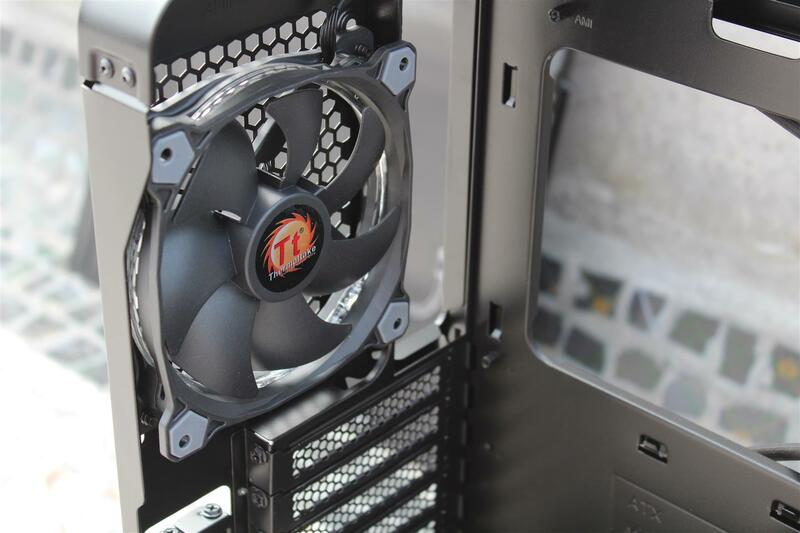 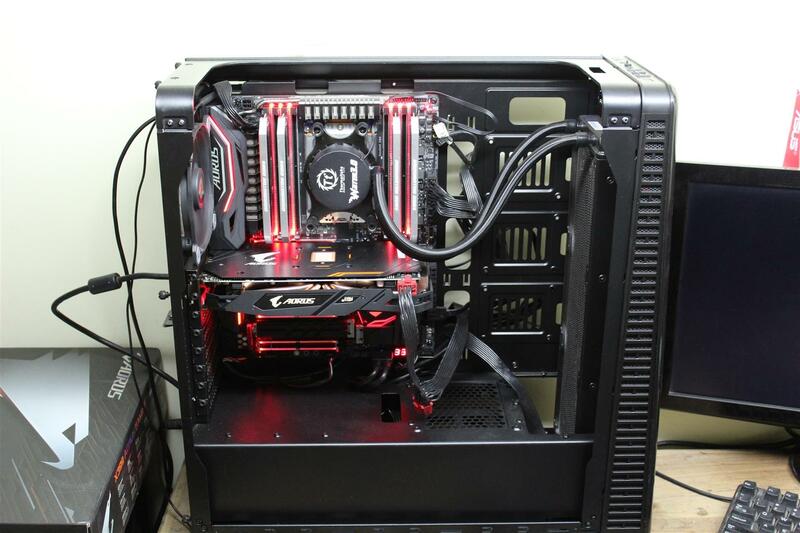 Thermaltake PCI-e X16 Riser Cable (Optional) – Support a wide range of GPU solutions. 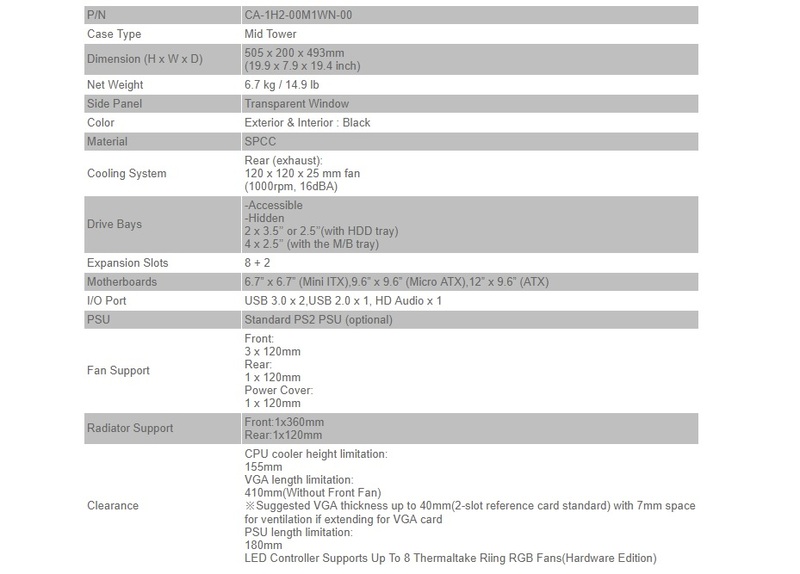 Brown cardboard box packaging with product image and few paragraph describing features outside. 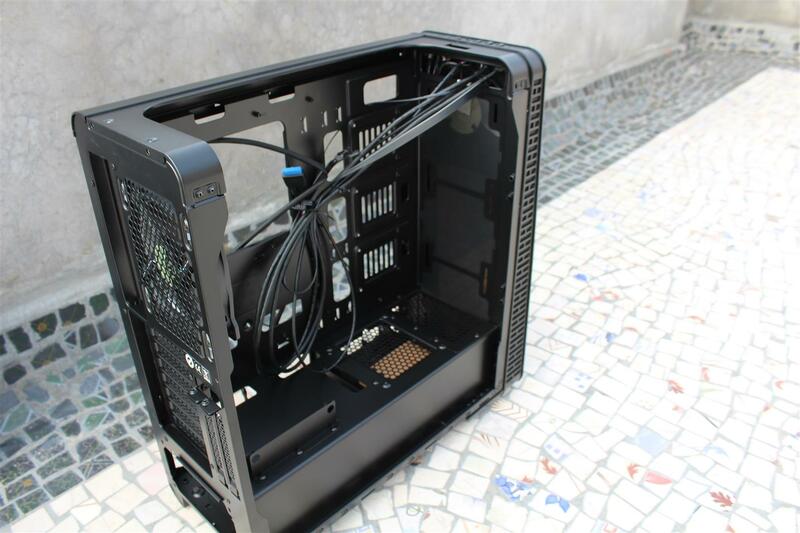 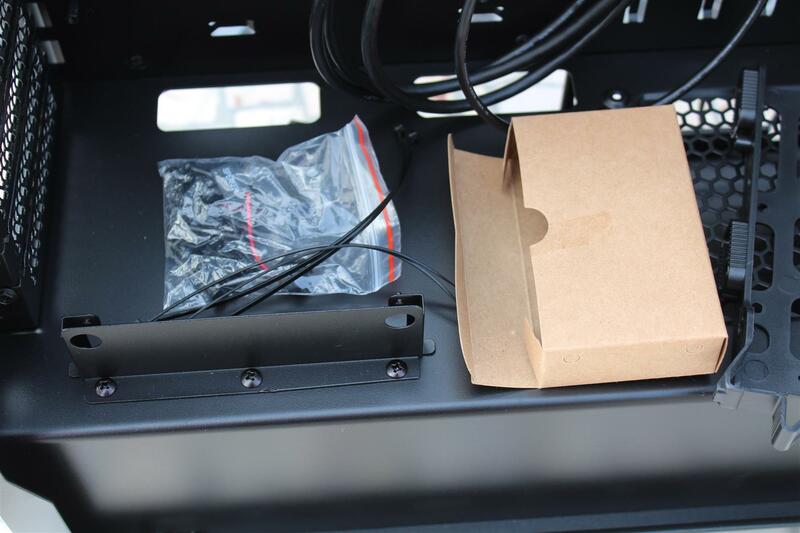 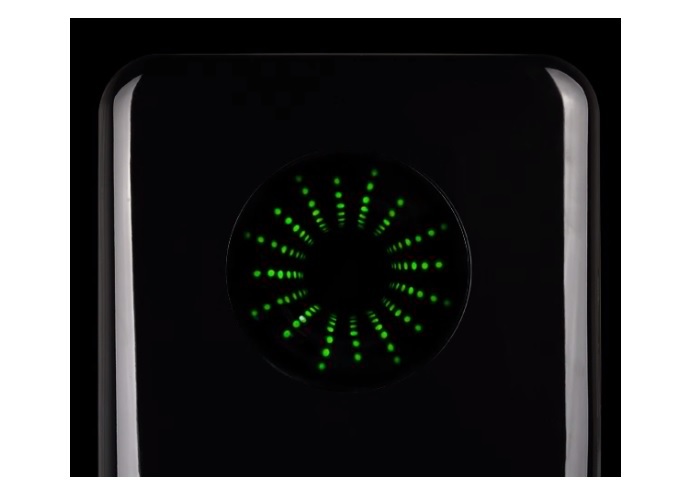 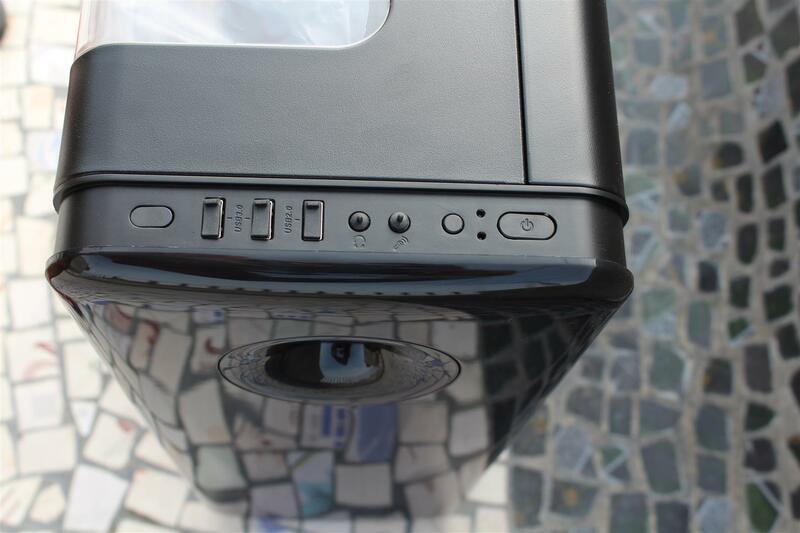 Top of the case have two USB 3.0 and one USB 2.0 port along with Power switch, Restart switch, headphone & mic jacks and RGB Lighting control button. 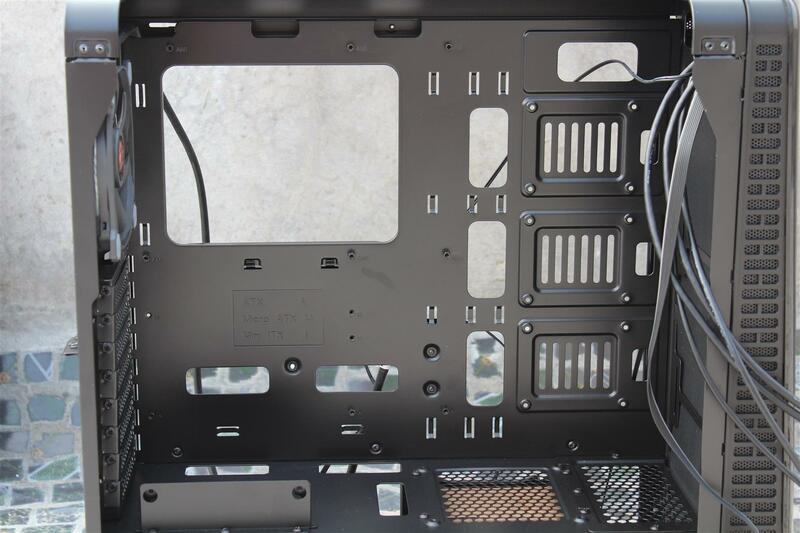 Front panel have side air vents with medium sized air filter mess. 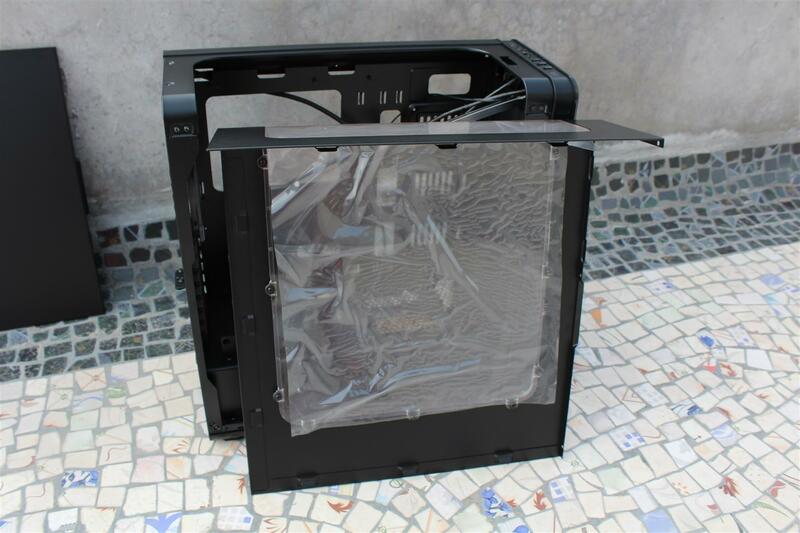 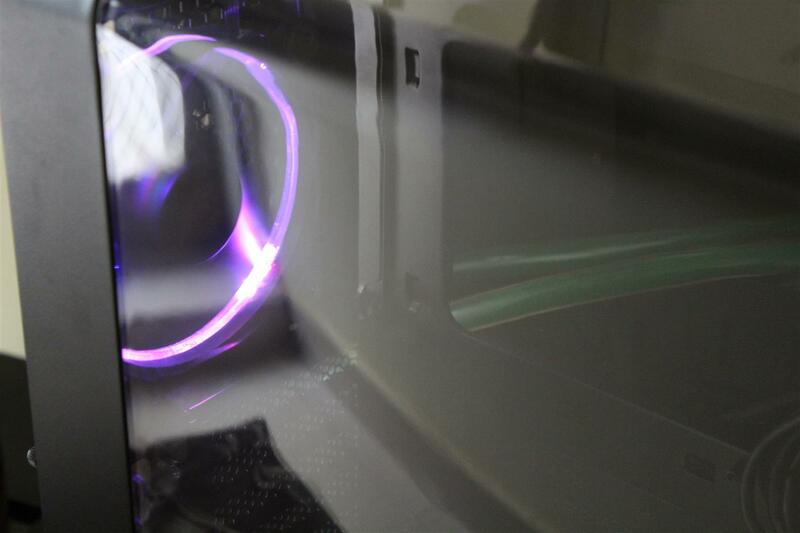 Case comes with a custom RGB lighting controller board with support of up to eight RGB Riing fans and two RGB LED strips. 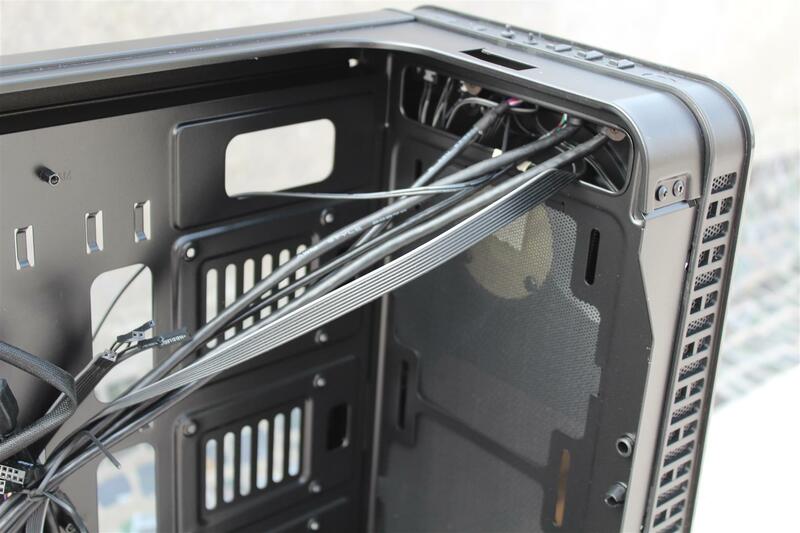 Lot of space for cable routing and many cable ties point. 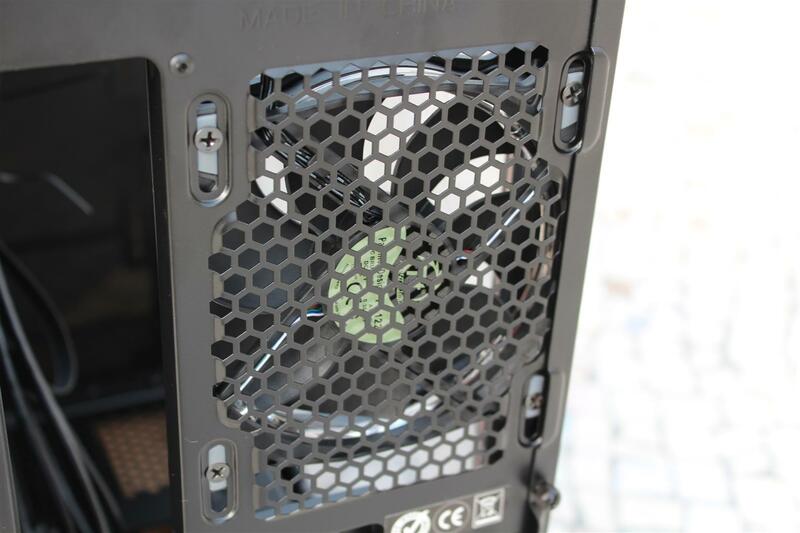 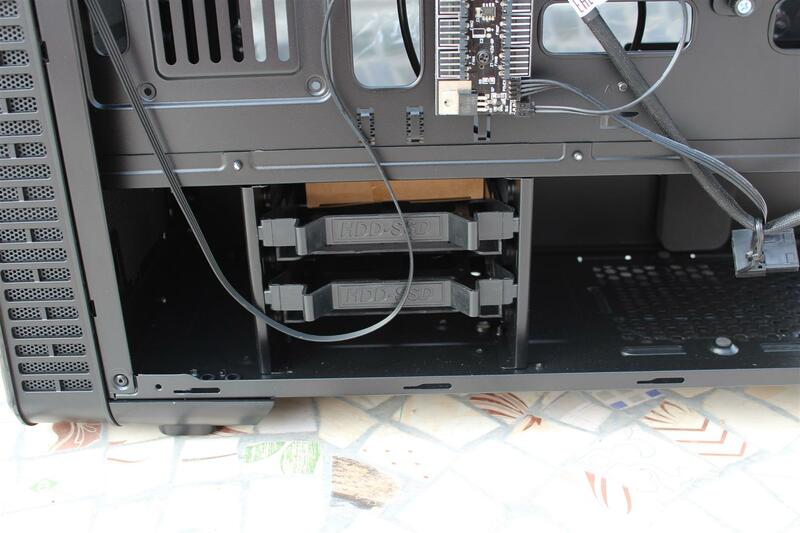 Installing hardware was easy and smooth in this case same as many other Thermaltake Cases. 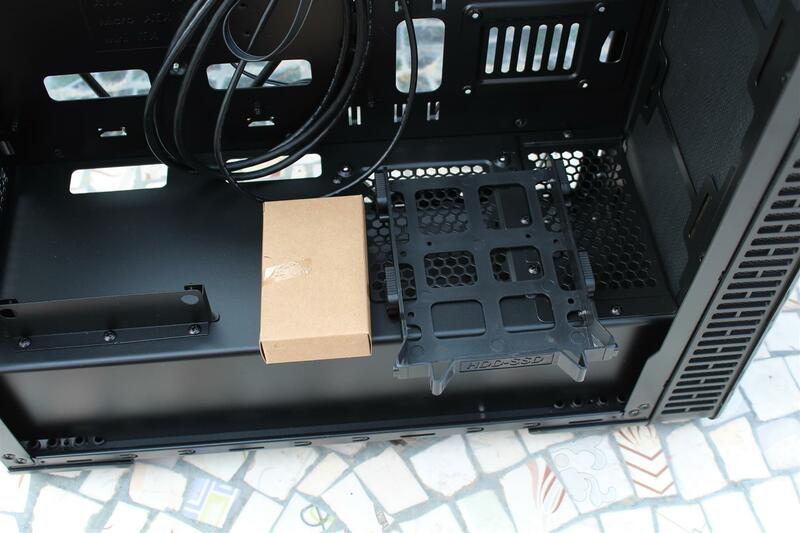 Front 360mm rad support is good with easy installation. 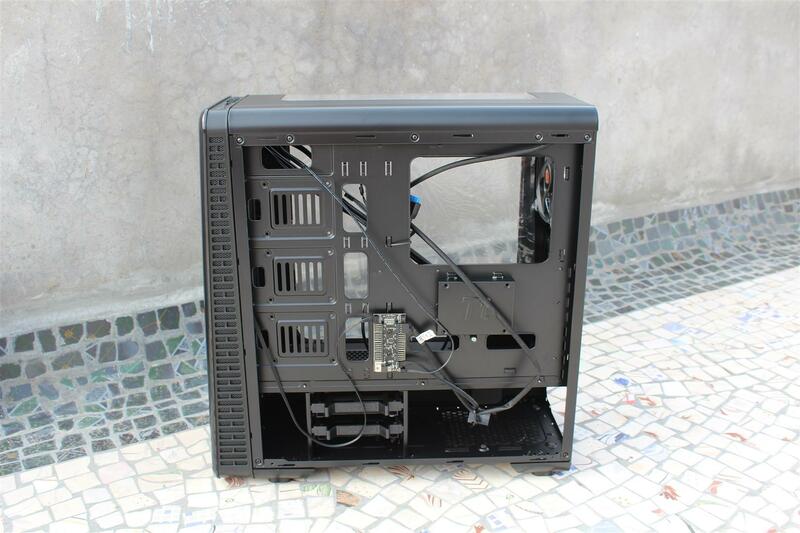 Working with Thermaltake View 28 case was very easy. 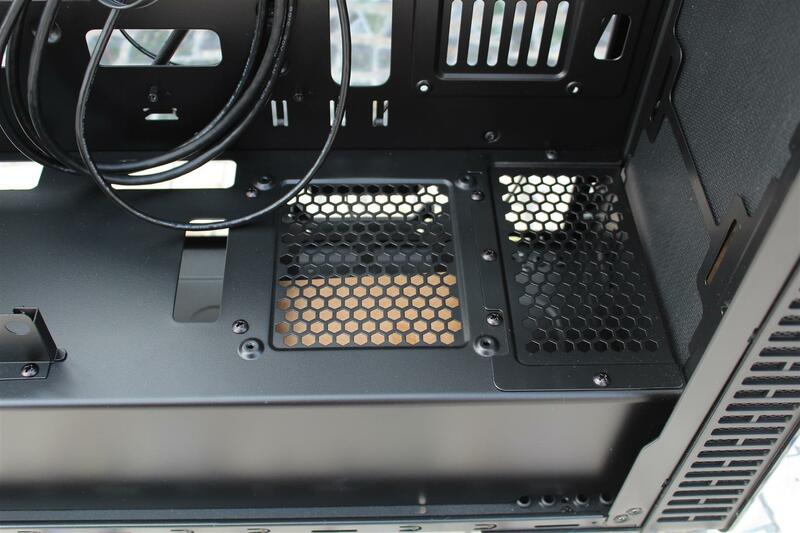 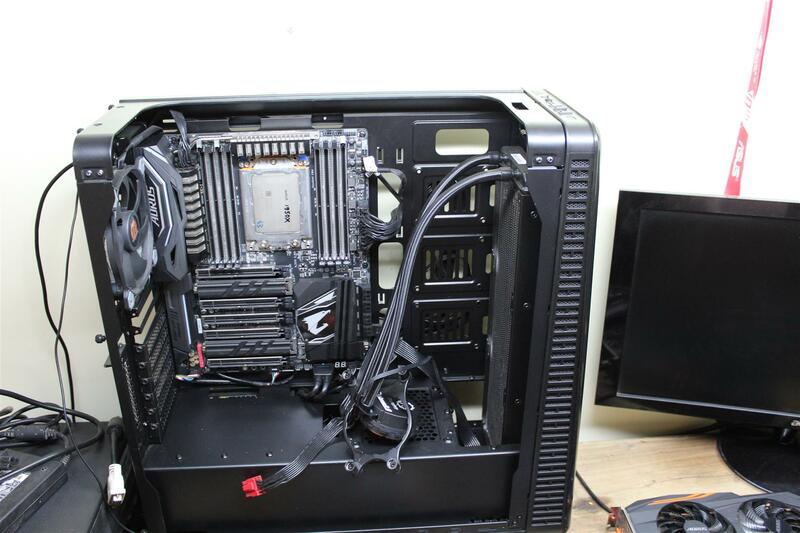 From main components installation to 360mm AIO to cable management all went super smooth. 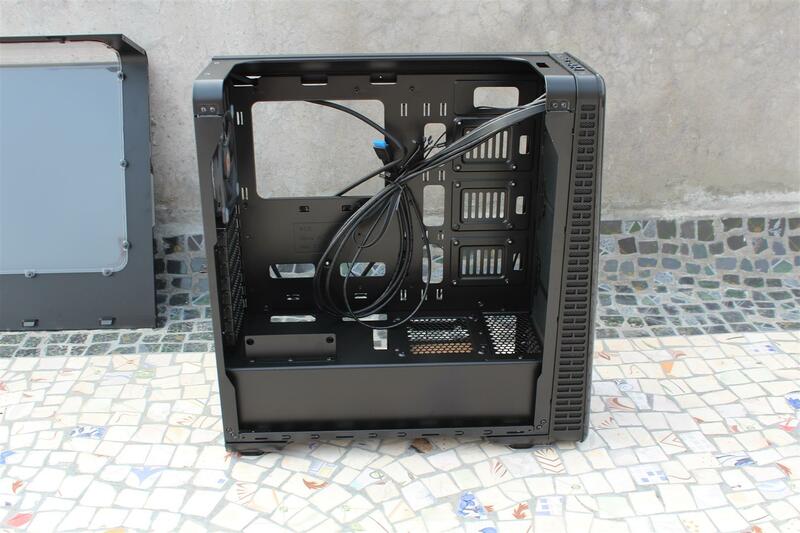 First issue I notice is this case need a back side slide-in type PSU mounting, as adding an extra modular cable to my PSU was very difficult especially after all the cable management. 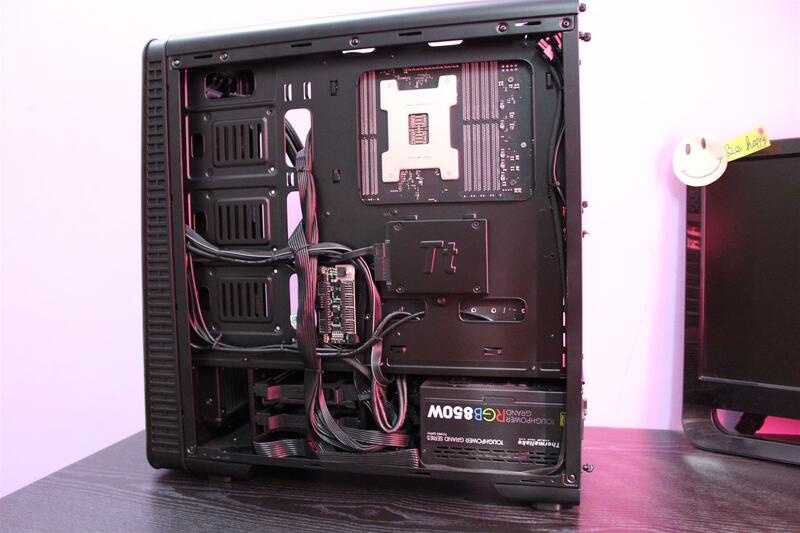 I have to cut off many cable ties and pull out the whole PSU after redo the cable management to just plug an extra SATA connector. 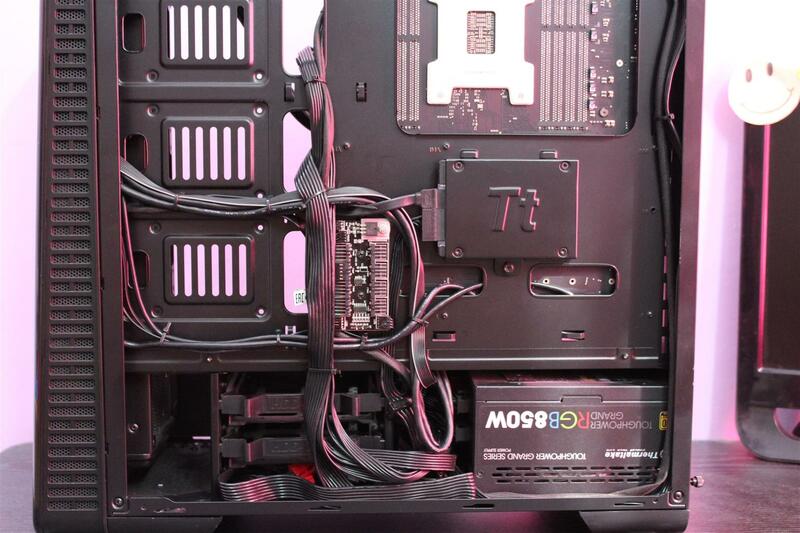 A back slide-in type PSU installation could have made it easier. 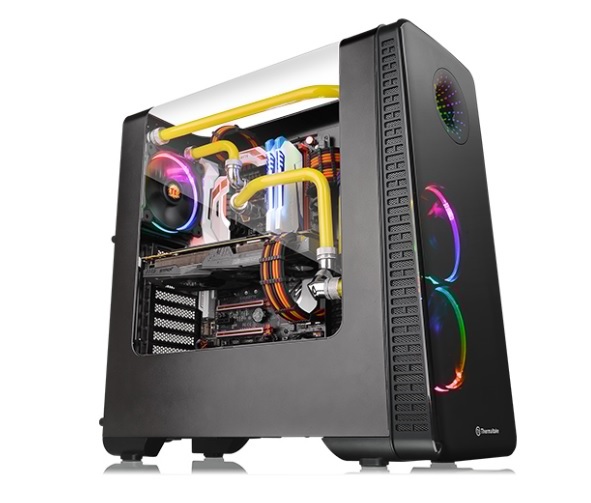 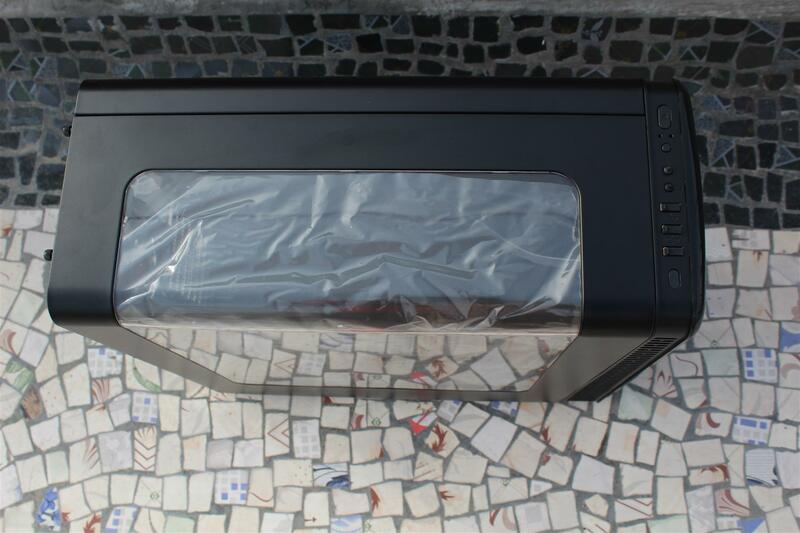 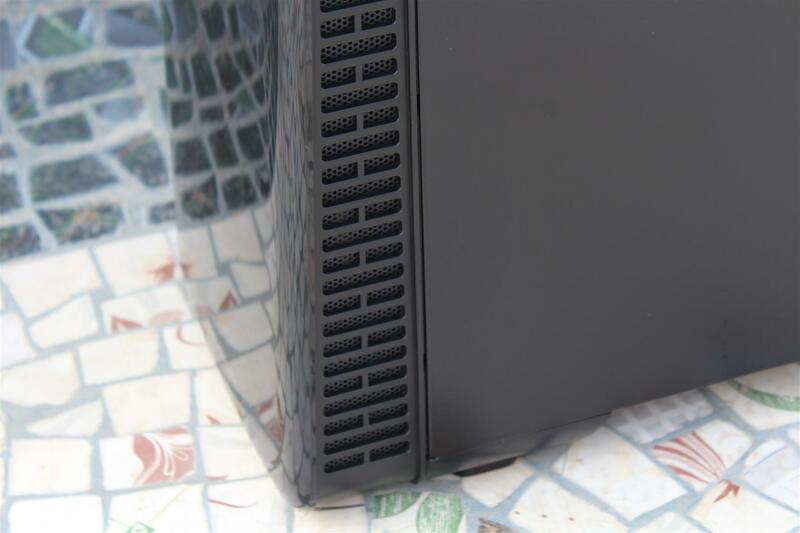 Thermaltake has done a good job in introducing a new designed windowed case with aesthetic enhancement by the RGB Matrix LED lighting on the front of the case, but personally I am not a big fan of this subwoofer port type look, may be others fancy it. 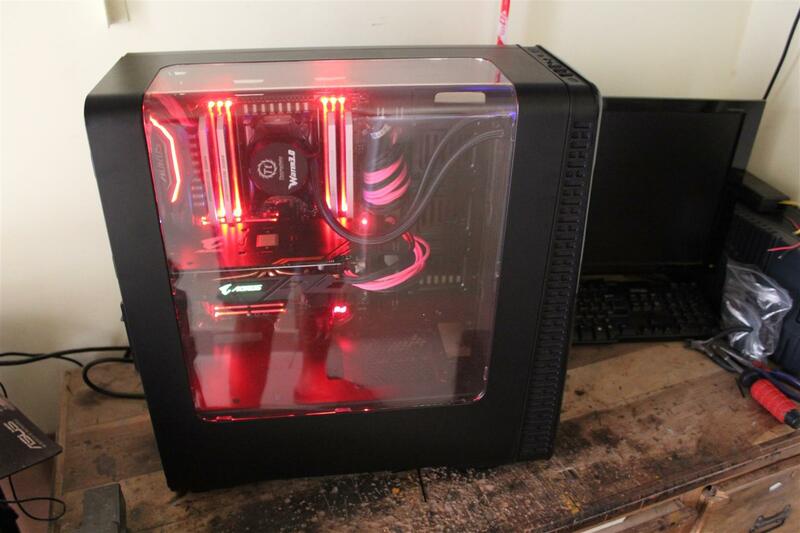 Finally with a price tag of Rs. 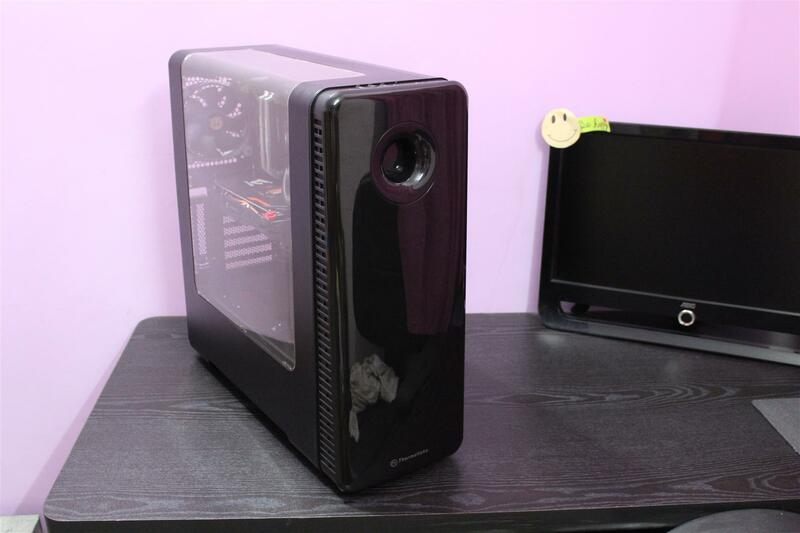 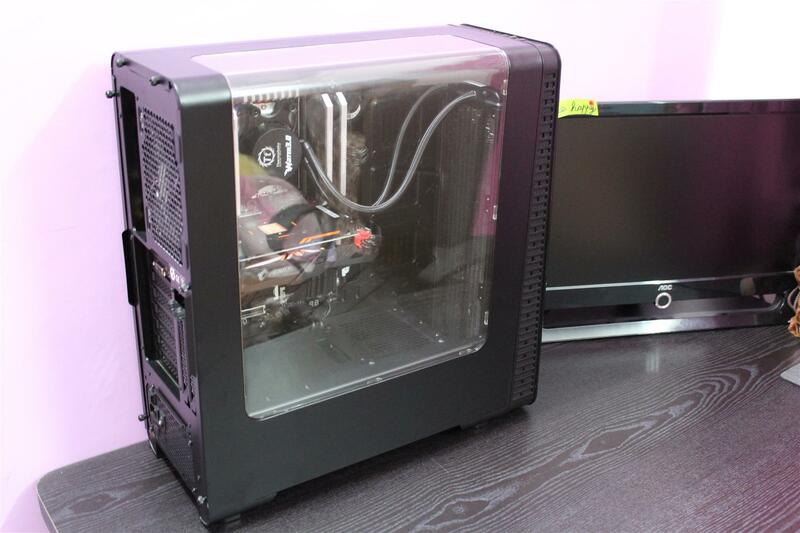 6.5K(approx), I feel this case is little expensive especially when compared with its own brother case the View 27 which have all the attraction of View 28 minus the front RGB Infinity Matrix light and cost approx 1K less.